Have you ever given any thought to your end-game, exit strategy, retirement plan? There are many names for it, but to be clear, it is what you are going to do when you have had enough and want to retire or do something else. I am sure that you love the tree industry as much as I do but it will eventually wear you down - continually finding customers, dealing with customers, employees, breakdowns, breakages, theft. Sometimes it feels as though the scales are weighed against those who simply want to work hard to make ends meet. We receive frequent calls from tree business owners who are looking to sell up, and they are calling because they want to sell right now. They thought of it last week, chewed it over for a weekend and now they want to do it. I hate to be the bringer of bad news but it isn't quite as simple as that. The process of selling a contracting company starts several years before the desired sale deadline. It takes time to gear up for the sale. What I mean by that is, at least five years before the desired sale, owners must consider what a potential purchaser actually wants to buy. It probably isn't the computer in the office, the aging trucks, the tired-looking chippers and a range of worn-looking tools. A great yard with either a long lease or better still the freehold. Licences in place: 0 Licence and Environment Agency exemptions, for example. Industry accreditations such as Approved Contractor, CHAS and ISOs. A healthy order book of domestic clients which has been consistent for the last few years. Ongoing contracts: frameworks are good, but term contract s are better, especially if you have just re-won them and they have a few years to run. Evidence of relationships with particularly prestigious clients. An employed management team who can run the show without you in it. From my observations, the vast majority of contracting companies are just churning work to make enough to scrape by. This is fine if it is what you want, but it is possible to be much more successful by putting together a plan and meeting your own goals. I suppose it depends on your own definition of success. If you are content to always compete with the 'really cheap - do it tomorrow' brigade then fine, but you will forever be faced with the continual reduction in rates alongside the ever-increasing cost off reelance tree climbers. If you are one of the few percent that has set their sights on climbing out of the porridge, then now is the time to take some action. In my experience the owners, directors and managers of arb contracting and consulting businesses have achieved their position by virtue of the fact that they are excellent practitioners and technicians, and in an environment where there is regularly enough work to go around, their lack of experience in the business of the business goes largely unnoticed until something happens like an accident or the opportunity to tender for a prestigious contract. Learni.ng from experience will of course enable gradual im.provement, but in the meantime there are companies out there that are quietly reaping the rewards of a professional approach to sustainable competitive advantage. What got you to where you are today is not going to be enough in the future. It isn't enough to be a nice person who does great tree work if you want to break out of the crowd. The best customers, whether domestic or commercial, judge you on appearance. What I mean by that is, based on everything they can see about you, does it appear that you are going to bring uncontrolled risk with you into their world? Are you going to be a problem, or do you appear to be so efficient that all is likely to go well? If you can get your top-to-bottom strategy and systems right, you will be able to enter a marketplace where there is far less competition and the rates could even be better. It isn't easy, but it certainly isn't impossible. With a bit of ef fort in the right direction you can make the gap between you and your competition so wide that they won't even try to catch up. A carefully structured plan to increase your attractiveness will quickly pay off in better customers, enquiries from good-quality operators who want a piece of the action and ultimately, potential purchasers. 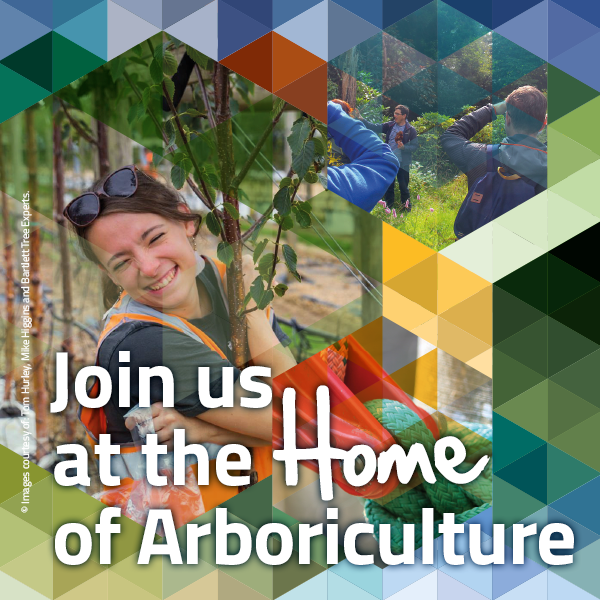 We work with some of the best and, in partnership with the Arboricultural Association, I would love to show you the path to success. I have put together a one-day course with the aim of decluttering your mind and getting you to think about the present and the future in a different way. This course aims to take small contracting and consulting companies to the next level by introducing the skill and knowledge areas that owners and directors regularly neglect or don't understand but need to develop. The result of attending this course will be an immediate reduction in stress, an understanding that everyone has the same problems as you and reassurance that there is help available. You will save money by not having to waste time and expense looking for the answer and you will become more attractive to customers. This course is for the owners, directors and managers of small to medium-sized contracting and consulting businesses. It will be a very full day of presentations, discussions and questions. I like delegates and instructors to work as a group where everyone can ask questions and get the information they need in a friendly, approachable and fun environment, so expect a workshop style to the day. What motivates you? I am going to give you some ideas for what should be motivating you if you are going to embark upon this journey. Time management skills and systems are absolutely fundamental to running a successful organisation. Everything hangs on a time management framework and the people t hat crack this will very quickly stand out from the other organisations operating in the area. We will discuss strategies to cope with the hundreds of recurring tasks that need to be done on a continual basis and systems for personal time management and deployment planning. The story is in the numbers. l will show you how to understand the figures and how to use them to make money and save money. I will also introduce 'the hidden business' behind the financials and how to use it to develop financial independence. I have called compliance a minefield in my articles because it can feel like there is just so much to do, it is impossible to know where to start. Trust me, it's easy: you just need a list. Employed or self-employed? I am asked this question almost every day as companies try to cope with the massive skills shortage in the industry. We will discuss the pros and cons of each and l will give you some tools to help weed out the dross from people who are actually worth the money. In this section I will show you some good ways to manage training, assessment and certificates and I will take away the mystique surrounding update and refresher training. Looking great to customers and satisfying Companies House and HMRC with your letterheads and email. We all store and manage customer and employee data nowadays and the penalties for not dealing with it properly can be severe. This is another of those areas where it just takes someone to show you how to do it. Prequalification can seem like a paperchase as you hunt for this policy and that procedure. How confident are you that it is the current policy when you find it and is it good enough to pass the selection criteria of the customer? How to manage and use the masses of information from external sources so that it is ordered and available. How to manage your internal documents so that they are correct and available when needed. Your organisation could be perfect, and you might be the nicest tree expert in the world but if you don't tell anyone about it then all of that is pointless. Most of our new clients ask me to help them to find customers and when I ask them about what they are currently doing to attract attention, they tell me - NOTHING. Obviously if everyone around you is doing nothing, if you do something it is probably going to lead to an increased market share. Marketing activity currently undertaken and how do you evaluate it for effectiveness. Your unique selling point in relation to segmentation and the marketing mix. Finding and responding to contract notices. It can feel like mini disasters happen all of the time but that need not be all bad. A sophisticated manager will use incidents to make things better and save money. Attention to incident management will result in an upward spiral of continual improvement. Why go limited? In this section we will look at the mix in the room and help delegates to decide on the right track for them. I will also cover legal liabilities and the responsibilities of company direction. There is an endless array of certifications and accreditations out there and it is difficult to know what you need and what you don't need. My opinion is that without a good reason, they are mostly a complete waste of money. I will introduce what I think is a cost-effective and winning formula. Reading all of that, I think you would agree that this is going to be a full day of great discussion. We are going to run the first one in Wakefield, Yorkshire, on 29 January, so as to be really available to colleagues further North. Paul runs Elcoat Ltd who specialise in helping arb businesses get things right and win work. Paul would be happy to take questions or comments from readers by email: paul@paulelcoat.co.uk or telephone: 020 7193 5611 or 07800 615900.